To help grow and expand your dental practice, you should understand the types of dental customers you are serving. When you understand your customers’ dental habits and how they make oral health decisions, you can design your marketing to speak directly to them and their needs or desires. Using targeted marketing directed to specific types of dental customers can effectively drive new patients to your practice. In general, dental customers fall into one of three categories. These categories expand across socio-economic boundaries, encompassing patients from various walks of life. Proactive patients believe in prevention. They schedule regular appointments each year and fastidiously practice good brushing and flossing habits. Because these patients typically have dental insurance, they are the bread and butter of many dental practices. They—and their family members—will come to your practice for all their dental health needs consistently. To market to patients who believe in preventive health, establish trust with them. Provide resources they need to keep excellent dental health through an outlet like an informative blog with information on diet, brushing, flossing and other preventive health tips. Share this information with them through social media as well, such as quick tips on Twitter or by posting links to your blog to Facebook. You should also help them stay on top of their dental health through email reminders about making appointments while including educational and helpful information. Use air time on your local radio station to share general dental hygiene tips to educate listeners and end the spot with company information where a listener could learn more, driving them to your website, blog or social media channels. Reactive patients might not take care of their oral health at all until it starts causing major problems. They are unlikely to visit you until they are experiencing pain, have trouble eating, or other major issues affecting their daily life. Though all patients are important, this type of patient does the least to influence your bottom line. Because these patients only act on their dental health out of fear, they may respond to stories of patients who waited too long to take care of their health. Share these types of patients stories—including how you helped these patients--in your blog and on social media. You will also want to build up good referral relationships with other dental practices or medical offices that do not perform the same services you do. When patients go to these practices with pain, they will be sent your way. Customer reviews on websites and social media can also influence this type of potential dental patient, so monitor reviews and ensure you are staying on top of online reputation management for your company. Also, utilize influencer marketing and work with radio personalities to speak to this type of patient. The dream patient not only values their oral health, but also their appearance. 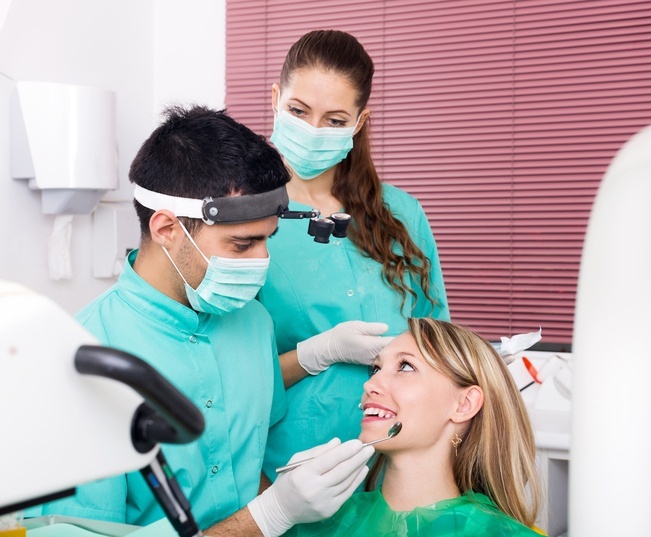 They are willing to invest in their dental health as well as cosmetic and aesthetic treatments. They will also often refer friends and family members for these cosmetic and aesthetic treatments. These patients are influenced by others and influence others themselves. Word of mouth marketing and reviews are the best way to draw them into your practice. Show off aesthetic work you perform in your office, including before and after pictures, and get testimonials from happy patients. By sharing these stories through multiple marketing channels, from social media to print, you can bring in more of the dream patients you desire by past and current patient’s testimonials. These testimonials can also be worked into your radio advertising creative or influencer marketing plan with a radio personality to attract this dream patient on a more personal level, similar to word of mouth. There is not one marketing solution that works for every patient. By crafting your dental marketing messages to each type of dental customer audience, you can draw in more dental customers of all types, helping your practice to grow and succeed.